Political psychologist focusing on rhetoric, perceptions, foreign policy decision-making, identity, and the links between political ideology, power and violence. Siri Neset holds an MA in psychology from the Norwegian University of Science and Technology (NTNU, 2010). Neset is a political psychologist and focuses on rhetoric, perceptions, foreign policy decision-making, identity, and the links between political ideology, power and violence. She has directed policy oriented projects on Turkey, Iran and U.S. relations with the Middle East and North Africa, as well as having established and led several dialogue projects. Previously she has been a research fellow at The Norwegian Institute of International Affairs (2011-2014) and concluded there in 2014 a three-year project on Turkish domestic and foreign policy. Neset`s work has been presented at international conferences, such as the international society of political psychology. Her publications include `Norway and Turkey: Possibilities of Cooperation through the Eyes of Turkish Opinion-makers` (All Azimuth: Journal of Foreign Policy and Peace, 2013, with Daniel Heradstveit and Matt Bonham), `Operational code analysis: Profiling political elites` (Internasjonal Politikk, 2015). Presently she is concluding a book chapter (with Lucas Mazur) titled Democratic revolutions? 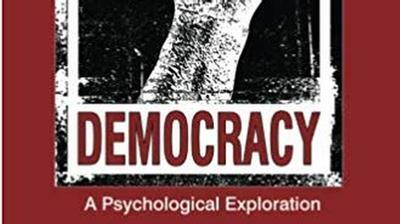 Insights on social stability and social change from psychology and political science. Neset has also written extensively for Norwegian media.